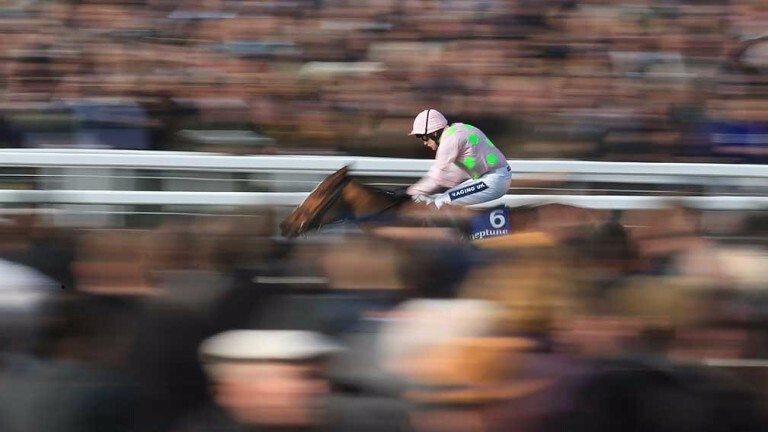 Willie Mullins was dealt another blow on Saturday when he had to rule Faugheen out of the BHP Insurance Irish Champion Hurdle at Leopardstown on Sunday. The nine-year-old was due to make his first appearance since winning the same Leopardstown event a year ago but Mullins revealed on Saturday afternoon that his star hurdler had met with another setback. Mullins said: "Unfortunately, Faugheen won't be running in the Irish Champion Hurdle. We weren't happy with him this morning and while we're not sure what the problem is he could have tweaked a muscle behind. "Faugheen was fine after working during the week and we were all set for Sunday, but he wasn't right behind this morning and that's why he won't be running. "Whatever the problem is it isn't related to the foot injury he had in the autumn. It seems to be a muscle problem in his hindquarters. "We'll see how he is over the next few days. The Stan James Champion Hurdle is still very much the plan but there is no suitable race between now and the Festival and, all being well, he'll probably have to go straight to Cheltenham." On Wednesday Mullins had to rule last season's Champion Hurdle winner Annie Power out of the Cheltenham Festival after it was discovered that she had injured a knee ligament after working on Tuesday. Faugheen has drifted in the betting for the Champion Hurdle and is 2-1 (from 13-8) with Ladbrokes, who have also trimmed Yanworth to 3-1 (from 4s).